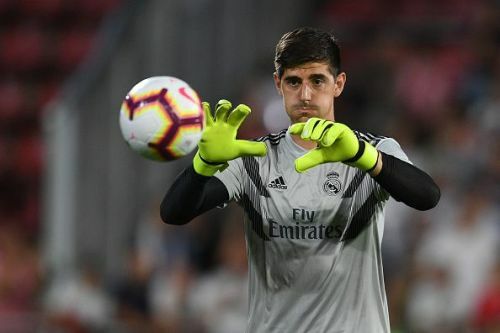 Real Madrid made a shock move this summer for the Belgian goalkeeper Thibaut Courtois, and the ex Chelsea man is undoubtedly one of the best goalkeepers in the world currently. He recently proved his worth by winning the Golden Glove at the FIFA World Cup held in Russia this year. Both Navas sand Courtois are elite footballers. While Courtois is definitely a minor upgrade over Navas, fans were surprised as this move was a sign of disrespect to the fan favourite Costa Rican goalkeeper. Navas has been Real Madrid's first choice goalkeeper for the last 4 years, and he was an integral part of the famous 3 consecutive Champions League winning squad. After Courtois' arrival, Navas made it clear that he would stay at the club and fight for his spot. It was understood by the fans that Navas would start in the UCL & Copa del Rey games, and Courtois would start in LaLiga games. This was exactly what was happening with Lopetegui as the coach. However, things have changed since Santi Solari's arrival. Navas has been starting only in the Copa del Rey games, and Courtois has been starting in the other tournaments. Here's my opinion on the situation. Both Navas and Courtois are equally good at what they do, but I find Courtois more consistent. 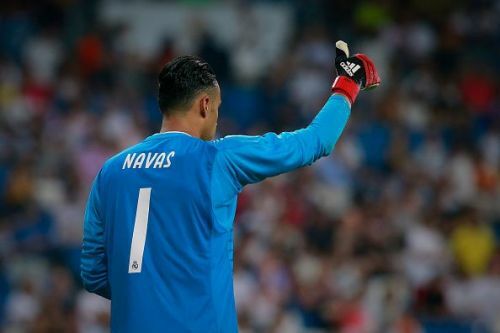 Navas respects the badge of Real Madrid, and he doesn't deserve to be a bench player. Even the fans hate to see Navas in this condition. I think the best decision is for Navas to leave for another elite European club. I completely agree with Solari's decision to bench Navas in UCL games. Navas and Courtois rotating and competing for the starting berth would be okay if they were youngsters, but both are established high level players. Real Madrid's decision to buy Courtois shows that they were not satisfied with Navas' services, and think of Courtois as an upgrade. Therefore, I think Solari made the right decision, and is also bringing stability to the squad.